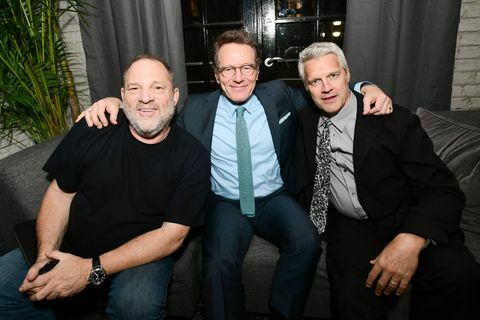 Harvey Weinstein, Bryan Cranston and Neil Burger pictured at a TIFF party. Evening two of the Toronto International Film Festival started before dark with a small cocktail reception to mark 10 years of the Hollywood Theatre at SickKids hospital, a 200-seat space that since its inception has become a place of solace for little ones undergoing the unimaginable. Actor and comedian Howie Mandel, in town to premiere On My Way Out: The Secret Life of Nani and Popi, produced alongside filmmaker and SickKids theatre founder Barry Avrich, was on hand. Also in attendance were long-time supporters of the theatre, John Daniels (who partnered with filmmaker Ivan Reitman to build the TIFF Bell Lightbox) and his wife Myrna. A short while later, Jason Sudeikis and Ed Harris were the big names at a pre-screening reception that helped kick off a week of activity at RBC house. The pair are in town alongside director Mark Raso to launch their film Kodachrome. Later, the same space played host to producer extraordinaire Harvey Weinstein, actor Bryan Cranston and director Neil Burger, who all popped into the lounge (sans castmate Nicole Kidman) for post-premier cocktails in celebration of their film, The Upside. Citizen, on King Street West, was packed for a party given by Grey Goose to celebrate the world premiere of Molly's Game, which marks prolific screenwriter Aaron Sorkin's first time in the role of director. Sorkin, though, had a stellar cast to work with – including Jessica Chastain, Idris Elba, Amy Pascal and Mark Gordon – all of whom were in attendance at the bash. By midnight, the same space had morphed into another party, this one hosted by Entertainment One in celebration of its dozen or so films included in the festival. Director Paul Haggis, actor Zachary Quinto, comedian Russell Peters and TIFF rising stars Vinnie Bennett and Ellen Wong were among those out at that one. Over at Soho House Toronto, the first of the Grey Goose-hosted must-attends was under way, this one for the film Stronger, director David Gordon Green's latest, based on the story of Jeff Bauman, the man who became a symbol of hope following the 2013 Boston Marathon bombing. Bauman is played by Jake Gyllenhaal, and both were in attendance for the celebration post-premiere, alongside fellow cast members Tatiana Maslany, Richard Lane Jr. and Miranda Richardson. Also on hand lending some star-power support were actors Stanley Tucci and Armie Hammer. Speaking of Soho House, the party to mark the Miami's film communities TIFF contributions scheduled for Saturday evening was cancelled Friday afternoon. The Greater Miami Convention & Visitors Bureau, Film Florida and Miami Dade College's Miami Film Festival sent a joint e-mail statement alerting the press and party guests. The decision came in recognition that the party would take place during the exact hours that Hurricane Irma is expected to hit Miami. 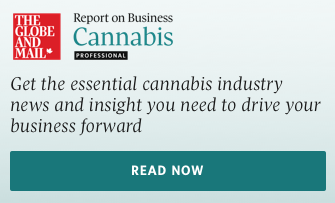 "With Canada being Miami's top international market and TIFF being an important gathering for all of our production and industry partners, we will be counting on your support after the storm, more than ever," the statement read. Friday, Montecito was the venue for Hugo Boss's always wonderful yearly bash, and director Craig Gillespie's I, Tonya was the film the fashion label was lauding. The film's star, Margot Robbie, who plays Olympic figure skater Tonya Harding was there, alongside fellow castmates Sebastian Stan, Allison Janney and producer Bryan Unkeless. Also out was Hugo Boss Canada's Lanita Layton, TIFF director and CEO Piers Handling, and the festival's executive director and COO Michele Maheux. Uptown, far from the bustling streets and festival madness, a late dinner given by David and Kate Daniels and Conrad and Barbara Black for André Leon Talley's documentary, The Gospel According to André, closed day two. The former Vogue magazine editor-at-large (he did time at Warhol's Interview magazine and was a protege of Diana Vreeland) is in town to premiere director Kate Novack's on-screen portrait of Talley. Members of the documentary's cast, including one-time fashion model and founder of the Diversity Coalition, Bethann Hardison, and broadcaster Tamron Hall were at the 50-or-so-seat dinner. Also out: filmmakers Jennifer Baichwal and Nicholas de Pencier, Cineplex Media publisher and president Salah Bachir and director Norman Jewison and his wife Lynne St. David.